Fortinet NSE5 certification is so hot among those Fortinet candidates. NSE 5 certification certifies that you have the expertise necessary to centrally manage enterprise and MSSP deployments with large numbers of Fortinet network security devices, and to provide analysis and reporting. 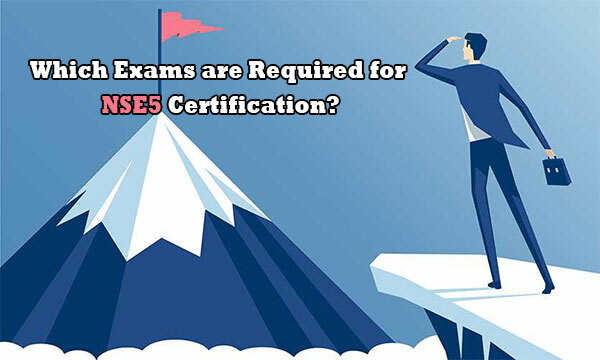 To earn this NSE5 certification, you will want to know, which exams are required for NSE5 certification? In this article, I will tell you the details of NSE5 certification. To earn NSE5 certification, you need to pass both FortiAnalyzer 6.0 Specialist and the FortiManager 6.0 Specialist exams, which are available at Pearson VUE test centers. Let me show you the details of the two exams below. After you pass both NSE5_FAZ-6.0 and NSE5_FMG-6.0 exams, you can earn NSE5 certification, which is valid for two years. To renew your NSE5 certification, you have the following 3 ways. 2. if your NSE5 certification has not expired, obtaining NSE7 certification can automatically renew your NSE5 certification. 3. if your NSE5 certification expired, obtaining NSE8 certification can automatically renew your NSE5 certification. By the way, latest NSE5_FAZ-6.0 and NSE5_FMG-6.0 exam dumps can help you pass the two exams in a short time. If you do not have enough time to prepare the two exams, you can try our FortiAnalyzer 6.0 Specialist and the FortiManager 6.0 Specialist exams dumps.